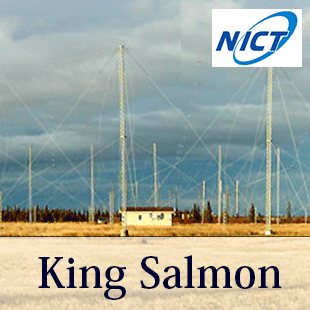 SuperDARN (Super Dual Auroral Radar Network) is an international collaboration project by eleven countries in the world. As of 01 January 2015, SuperDARN consists of twenty-two sites in the northern hemisphere and twelve sites in the southern hemisphere, covering over the northern and southern high- and mid-latitude regions. 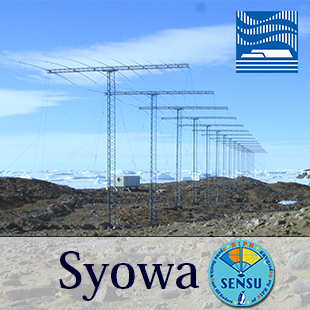 Among them, Five radars have been operated by Japanese groups (2 in Syowa Station by National Institute of Polar Research, 1 in King Salmon, Alaska by National Institute of Information and Communications Technology and 2 in Hokkaido, Japan by Institute for Space-Earth Environmental Research, Nagoya University). During common-time mode operation, the SuperDARN network monitors global-scale ionospheric plasma convection of the high- and mid-latitude regions with time resolution of 1-2 min. The radars can also monitor ionospheric plasma density perturbations, meteor and mesosphere echoes. 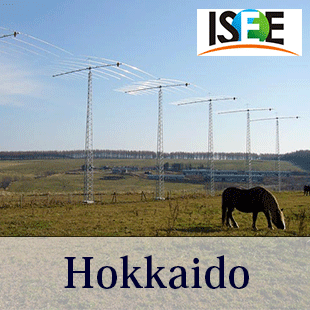 Using these capabilities, the SuperDARN network is used not only for the ionospheric research but also for the thermospheric and mesospheric research. Mid-latitude SuperDARN review paper has been published in PEPS journal. The paper can be accessed here. The SuperDARN Workshop 2019 will be held at the foot of Mt. Fuji, Highland Resort Hotel & Spa in Fujiyoshida, Japan from 2 to 7 June, 2019. The website is http://superdarn2019.nict.go.jp/ . Domestic SuperDARN science meeting organised by 3 institutes was held at Nagoya University on October 16-17, 2018. Domestic SuperDARN science meeting organised by 3 institutes was held at NICT. QL plot page and Map plot page are available. 2nd ISEE/CICR International Workshop on "Review of the accomplishments of the mid-latitude SuperDARN network" was held at Nagoya University. "About SuperDARN" pages are available. Domestic SuperDARN science meeting organised by 3 institutes was held at NIPR. SuperDARN JAPAN website is partially available. Domestic SuperDARN science meeting organised by 3 institutes was held at Nagoya University. Copyright © National Institute of Polar Research, JAPAN. All rights reserved.